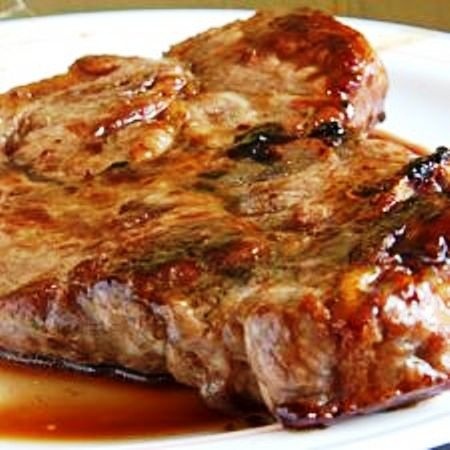 Coat pork chops in mixture of flour, salt, dry mustard, and garlic powder and brown in oil in skillet. Place browned pork chops in crock-pot. Add can of soup. Cover and cook on low for 6 to 8 hours or on high for 3 1/2 hours.